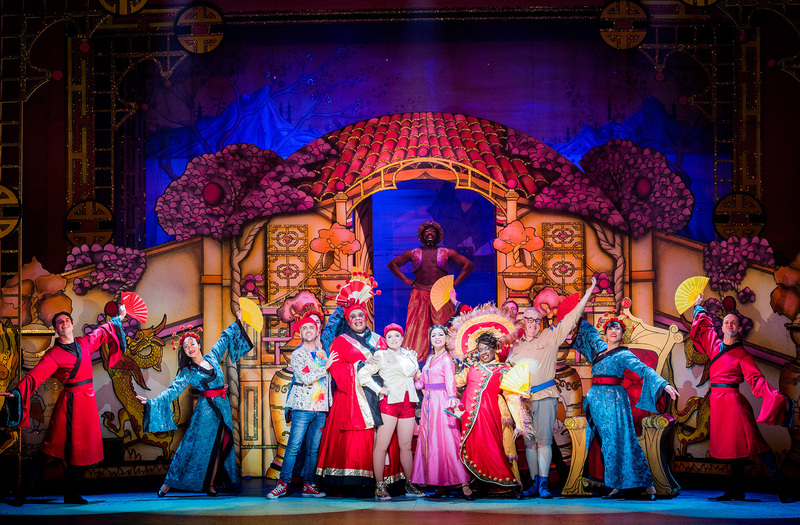 Times are a-changin, and everyone’s favorite genie in a bottle panto, Aladdin, has transported itself smack bang into the east end of London – the island of Ha-Ka-Ney to be precise. There are no magic carpet rides, but expect puppets, pandas, high energy dance routines and a rousing rendition of Fernando. 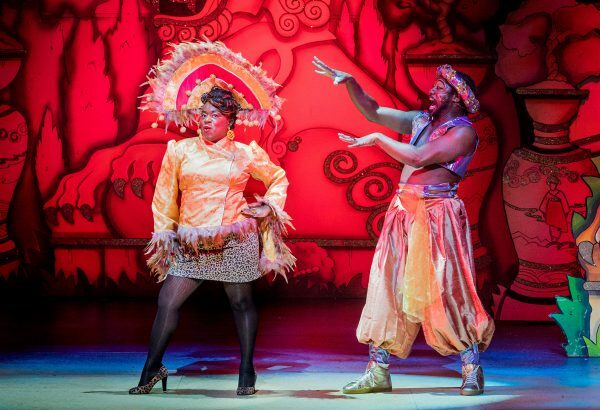 Hackney Empire is celebrating twenty years of panto, and it certainly knows how to do it well. Calling in great dames of TV and film, Clive Rowe, as Widow Twankey and Eastenders’ Tameka Empson, (who is noticeably shorter than she appears on the telly) as the Empress of Ha-Ka-Ney, the two have enough chemistry to set the stage on fire; Occasionally slipping into Jamaican patois, the Empress is just what you need for an evil mother- with blunt retorts and hand gestures, she holds her own in her big frocks and fans, and is as cunning as a fox. Meanwhile, the Queen of Wash Me Niks laundry, Widow T is still a wanton widow, and flirts like mad with any man she lays her eyes on. And that includes the audience! Be cautious of where you sit, as no-one is safe from her advances. Gemma Sutton, who plays Aladdin (is a girl because that’s allowed these days), and her (not really) ‘disfigured’ brother, Alim Jayda, with his panda mole, gets everyone in the crowd chanting, ‘Dishi Dishi, what a fitty’, and will actually become a bit of a heartthrob when he’s older! However, there wouldn’t be much of a storyline without a Princess and a baddie. Cue Abanazar (AKA Jacob Peas Bogg) played by Tony Timberlake. As the wicked uncle, he is desperate to lure Aladdin away to uncover the lamp which will grant him the wishes he needs to get rich and rule the land. 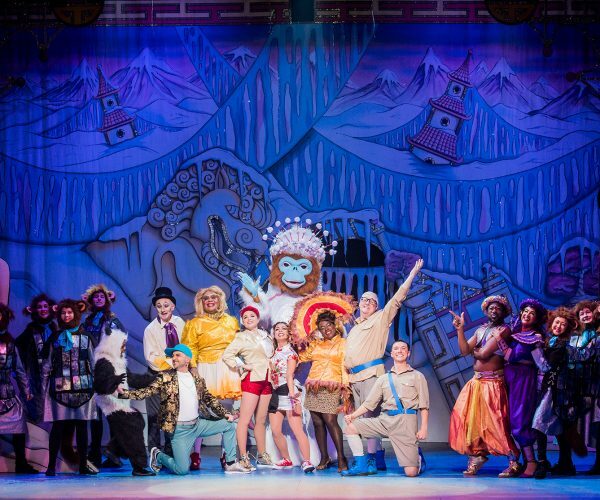 But Aladdin wants to get his paws on it, so he can woo Princess Ling-Mai, and impress the Empress, who after an ill-conceived decision to leave the ‘Eastern Union’ has bankrupted the Far East End province… One for the adults in the audience! 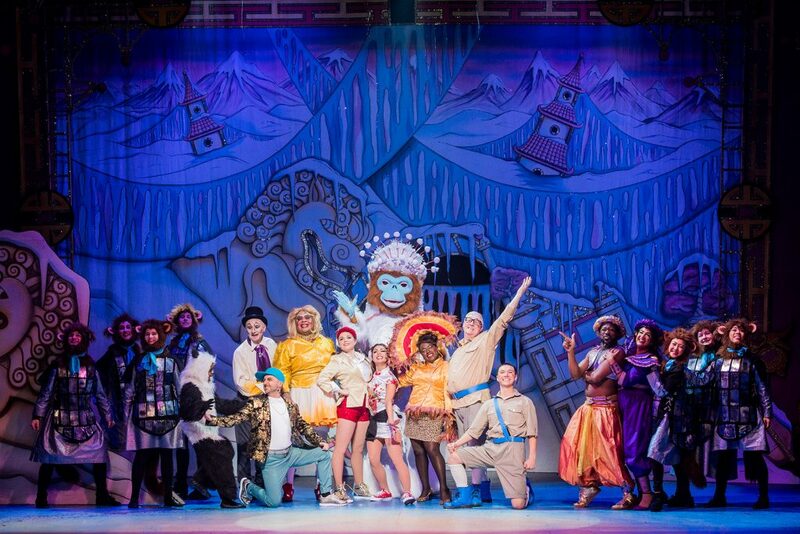 At nearly two and a half hours long (with interval) there are enough set changes and musical interludes to keep the most fidgety audience occupied, and director Susie McKenna has managed to create a modern day mashup of the original fable with added tap-dancing pandas! Aladdin will run to January 6, 2019. Find out more on the Hackney Empire website.